very wealthy healthy in spiritual sense, my gratitude to this blog. How is one supposed to sign in when one can not sign up? 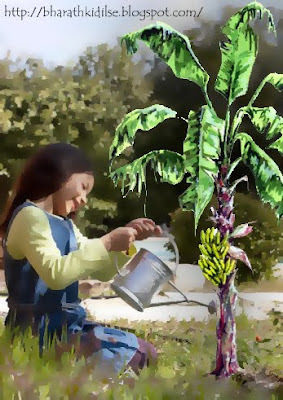 Can someone please help me, Is it possible to keep Bhraspati Vrat without worshipping the Banana plant, as I live ina place where this plant is not found commonly. Hello, Today is Sept.29, 2015, I know it's too late to answer you, but I hope u will read this answer. I don't have a Banana Plant either, and also it does not grow here as the Banana plant is a Tropical Plant and requires a warm climate, also due to my situation. First of all, I'm not a Hindu by birth, but after what took place in my life, and also working on many readings/newsletters and search engine, I FELL IN LOVE with HINDUISM. 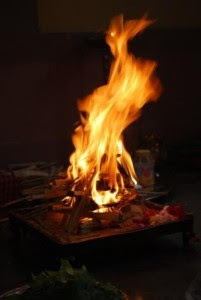 This is what I do...I close my eyes and visualise Lord Vishnu, I repeat 3x with either an incense or diya, Om Namo Narayan, Om Namo Bhagvate Vasudevaya, I also offer Bananas to Lord Vishnu and Ma Laxami. The first time, when I did this, a cast of bright light showered on me, and I smiled, I knew it was Lord Vishnu who was there and listening to me, I gave a smile and thanked Lord Vishnu for being with me. 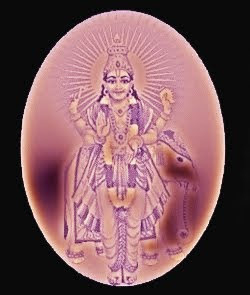 On November 10, 2013, I was in Vancouver, BC, for a visit, it was a Sunday morning, when I opened my eyes that very morning, I witnessed Lord Vishnu's apparition, I knew that was Him, because I saw the white Conch held in his left hand and the golden wheel chakra in his right hand. Since then, I visit Temples and also observe Fasts on Thursdays, Mondays and Special Days, makes me feel so healthy, energised, and personally and spiritually so much close to all the Hindu Deites. In vedic mythology, Jupiter represents righteousness and religiousness and is also called “Brihaspati or Brahmanaspati” (lord of prayer). 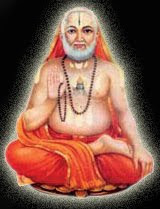 The words Brihaspati and Brahmanaspati are derived from the same root ‘bri’ as the word Brahma- the God of Creation. The root ‘bri’ means to grow and expand.